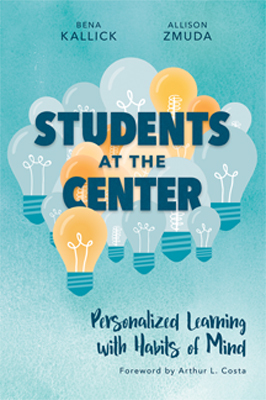 This year my school has taken up a new district-wide initiative: personalized learning. This is year one of what will be a long process to shift how teachers teach and students learn. The aim here is to be able to develop a personalized learning plan for each student and use that as a way to differentiate instruction in the classroom. Now, we’ve had these concepts in education for some time but I think the difference now will be on the technology and tools available to execute this plan. So, since this goal is part of our teacher evaluation this year, I wanted to do some research and experiment with personalized learning in my classroom. Personalized learning and differentiation are NOT the same thing. While teachers try to differentiate all the time, they are not really trying to personalize learning. I think this misconception is huge, because as the district rolls out this initiative it faces resistance from teachers who see it as a “been there, done that” kind of plan. The difference, however, is that to personalize learning means letting the students recognize their own strengths and weaknesses to come up with learning goals for themselves. Then, they can create a plan of action for their learning and how they will demonstrate it. Personalized learning starts with knowing your students. This seems obvious, but it’s something that maybe teachers start with in the beginning of the year but either don’t go deep enough or don’t follow up with who their students truly are and how they learn best. Students must learn to be reflective about themselves and for teachers it goes beyond simply knowing their students interests and hobbies. It’s about a student’s complete personal and academic profile to help students to reflect on their own strengths and weaknesses so they can plan their own learning. Assessing your students is about more than content. Teachers focus so much on what students must know and this again is where personalized learning differs from differentiation. Instead of just focusing on content, personalized learning means looking at the skills that students develop, especially including real-world skills as part of learning the content. Students need to challenge themselves to grow by being involved in the learning process. It’s about more than allowing students new ways to show what facts they’ve memorized. Instead, it’s about knowing that some students need to develop their empathy, others their creativity, and still some others their presentation skills. Combining this level of personalization within learning the content allows for true growth. So, from these things I have tried some new things in my classroom. I have embedded more grade goal-setting and feedback into my teaching. I incorporate real-world skills into the rubrics of major projects and made those projects open-ended so that students have to create their own plan of action in demonstrating their learning. There are so many new ideas I have taken away from this book for next year too. I want to develop a learner profile that I can use as a portfolio to track student progress. I think students will be able to use this and assess themselves so that they can then set goals for what real-world skills they can further develop and I can use those goals as part of the grading. I also need to involve the students more in owning their learning by being a part of the planning and assessing part of the learning. This is tough, open-ended work that not only builds self-awareness but also autonomy and ownership in students. I can definitely see the benefit of adopting personalized learning and I think there are many great opportunities to explore as a teacher. It’s a challenge that I’m excited to work on, while at the same time it’s also a daunting task and sometimes I don’t know where to begin. Teachers are saddled with so many other tasks and because there is no one solution on how to implement personalized learning it can be a time-consuming creative effort. My ultimate hope from this district-wide initiative is to see my district work together to help teachers implement new ways of learning. Recently, we used professional development time for some teachers to share what they’ve learned so far and I offered a session on what I’ve blogged about here. I think it inspired some teachers, but in a such a big district the real challenge will be getting all teachers on the same page. Like I said before, I know this will be a long process but I think it will pay off greatly in the end.